I’ve crafted Christmas cards in same style as my Shy poster series, that featured different printing techniques and subtle colour changes to show a subtle, typographic message. The worst thing about these cards is that they don’t photograph well! The Christmassy message written on each I’ve got to a perfect amount of visibility (through lots of trial and error). 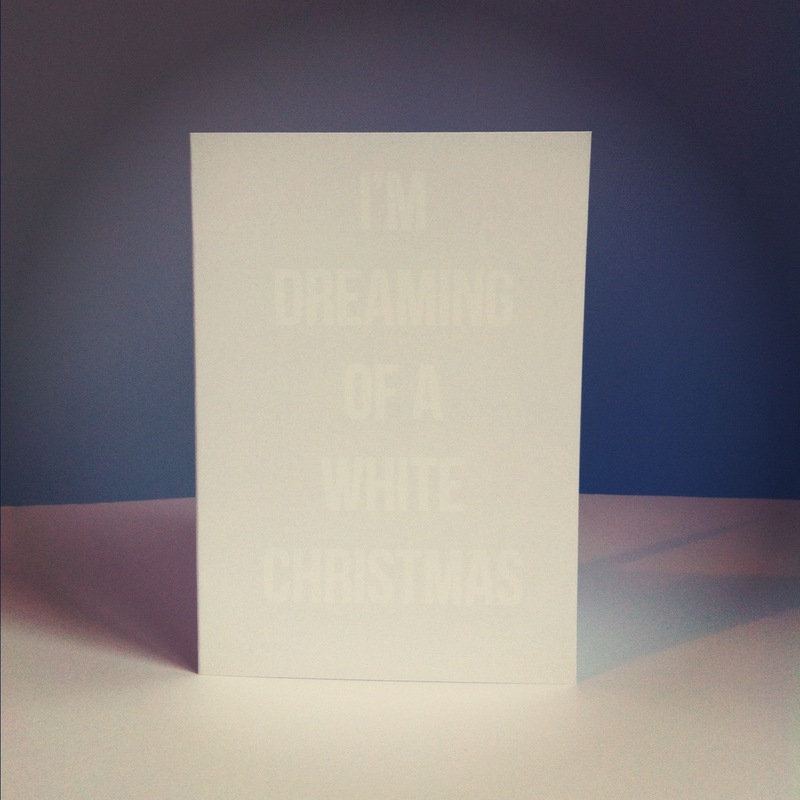 The first card is fairly traditional with the lyrics “I’m Dreaming of a White Christmas” on the front in… white. 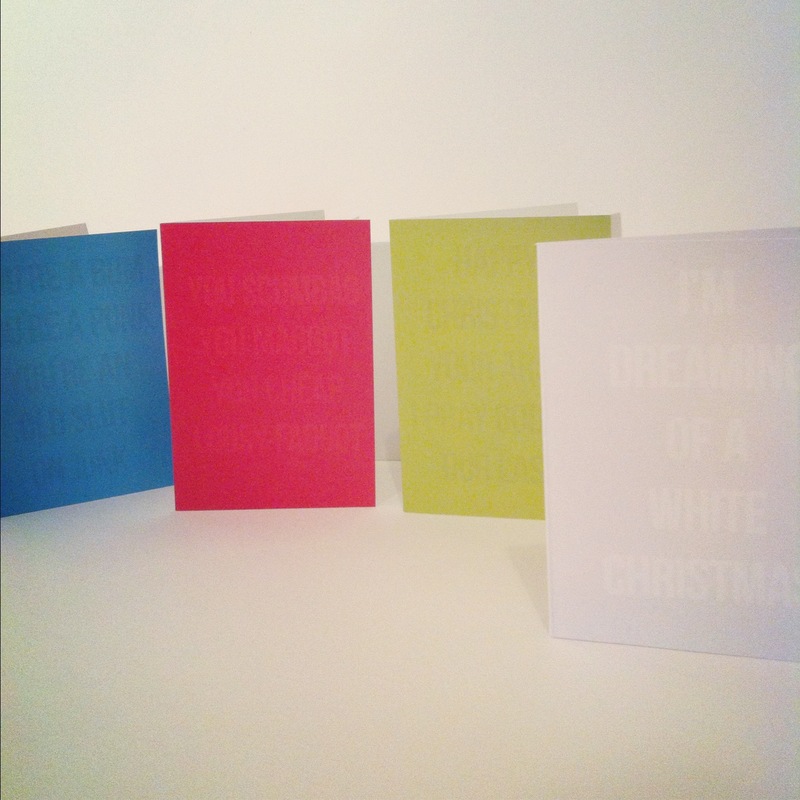 The minimal, effortlessly cool style of the white on white is perfect for those that like a twist on standard Christmas cards. The other cards take their inspiration for the Pogues song Fairytale of New York. These ‘shy’ cards have had a Christmas drink and are now a bit sweary. I’ve been busy making Christmas cards with a unique little feel. 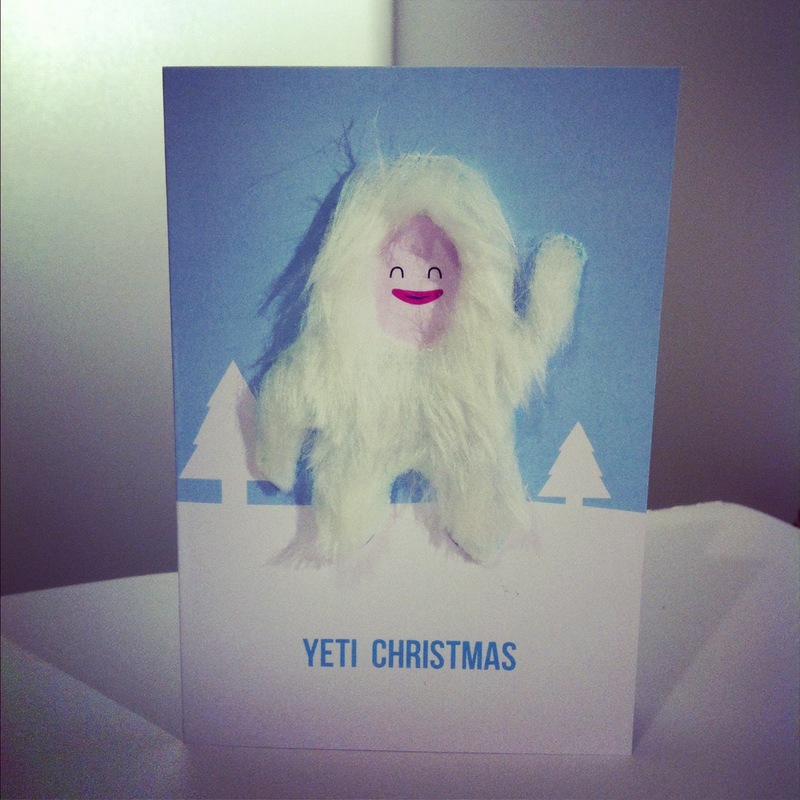 My Yeti Christmas cards use clean, minimal design to show off the furry coat he has on. Each one has to be cut out individually which means each looks unique and appears to have a different personality. These aren’t just Christmas cards, you’re adopting a new family member when you receive these! Paper jams are my least favourite type of jam. I’m sure I get them more than anyone else when printing… My take on a paper jam transforms it into a craft piece that anyone can put together. Three different versions in magenta, cyan and black, these Paper Jams are not like the ones you are used to.